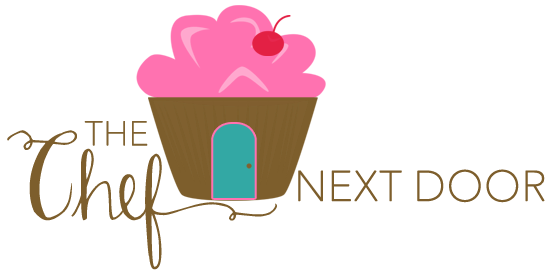 Spring Cleaning and Fresh Scents! Get a jump start on your spring cleaning with some delicious new Spring air care scents for your home! Spring is here and as the weather starts to turn warm and the trees and flowers bloom, it puts me in the mood to do some spring cleaning. Spring is a time for new beginnings, right? I feel that way about my house too. Time to clean and purge, and make everything fresh and like new. And of course, make sure the house #SmellsClean. 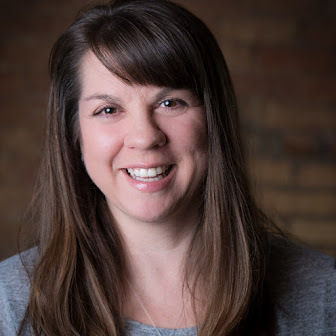 I've made my to-do list: clean out closets and get rid of clothes that don't fit; flip the mattresses and get rid of the heavy blankets on the bed; wash windows and curtains; dust allofthethings. That's just the start of my list, there is much more to be done. While I'm cleaning and purging, I'm also making sure the house smells clean and fresh. That obviously happens when you're cleaning, but I want the house to smell like spring. SC Johnson can help with that! 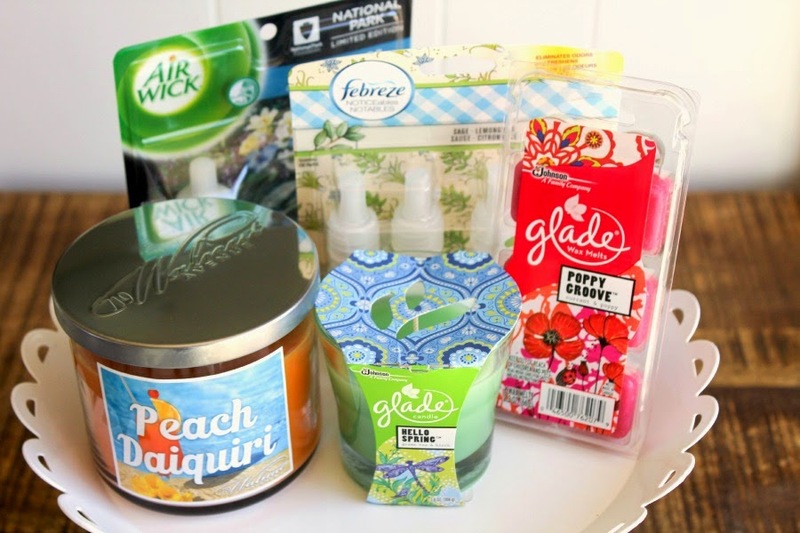 Did you know you can find a variety of delicious smelling goodies at your local Walmart? 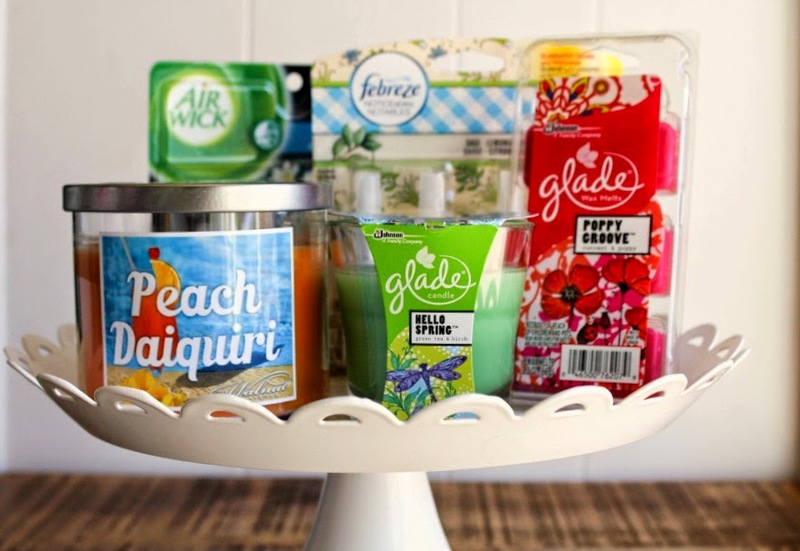 Located in the air care aisle, you'll find tons of products dedicated to making sure your house smells amazing, without breaking the bank! I love the plug-in air fresheners and have them in about half the rooms in my house. 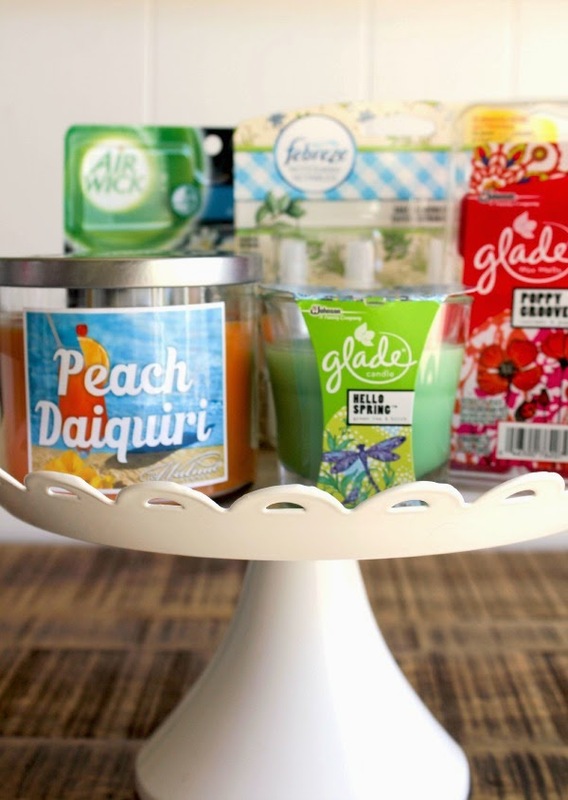 With new spring scents like Sage Lemon Grass from Febreeze, and Hot Springs from Airwick, my house smells like a flower garden. Glade's Hello Spring and Poppy Grove are delightful, too. I'm also addicted to candles, and the Peach Daiquiri from Walnut has become a fast favorite. I burn it in my kitchen and the smell is just amazing! These scents are sure to get you in the Spring mood and help with your Spring cleaning. Some of these are Walmart exclusives, so be sure to stop by your local store soon and stock up! Disclosure: This post is sponsored by Acorn, an Influence Company, and SC Johnson, A Family Company.